It's been a while since our last update – it was a busy summer, but Gravelmap is still moving forward. Since April, the route database has quintupled in size and we're now at 5,277 miles and counting! 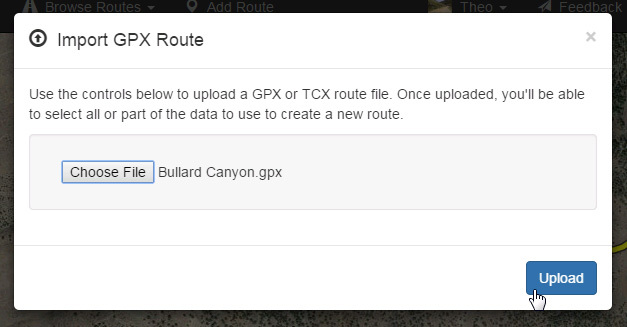 You can now import new routes from GPX (or TCX) route files. Most tracking and mapping services allow files to be imported in the GPX format, making it very simple to add complex new routes and routes that don't follow mapped roads. Simply click on the Import Route button in the header to begin, and select a GPX or TCX file from your computer. After uploading the route, it will be validated. 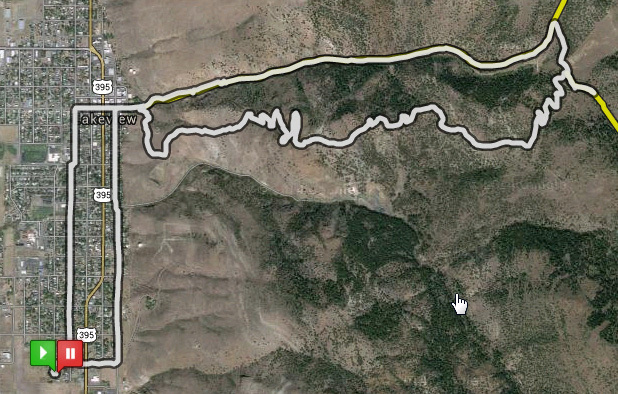 If the GPX file has more than one route, you can select the one to import. Click on Begin to continue. The route will be displayed on the map, along with a set of editing controls to trim the starting and ending points of the route. Use the controls to adjust the route, if necessary. When ready, click on Save. Specify the details of the new route, and you're set! As we proceed into fall and winter, we'll be adding more new features. A set of route editing tools will be next in the queue. As always, please help us by reporting any suggestions or problems using the Feedback button in the header, or via email to info at gravelmap.com.